The statement from the Belize Ministry of Foreign Affairs explains that the area is part of what Guatemala and Belize has been committed to work on together; to reduce problems as part of the confidence building measures. Those measures were put in place because of continuous confrontation that had occurred on the borderline as a result of the Guatemala territorial claim over portions of Belize. The release also makes reference to a February 24, 2000 incident in which a Belize law enforcement patrol team was illegally detained by Guatemalan authorities. The GOB press release quotes the then Prime Minister Said Musa detailing the then incident in a February 26, 2000 press conference. 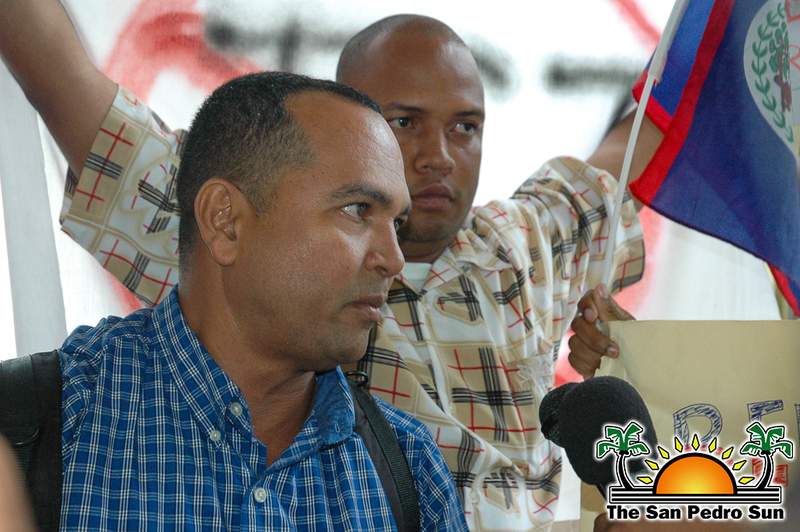 “ We call this press conference today (February 26, 2000) to provide you with the facts as we know them surrounding an incident that occurred on Thursday morning (February 24, 2000) in an area of Belizean territory near our Belizean Defense Force border posts at Treetops, south southwest of Jalacte Village in the Toledo District. Our information is that joint BDF/Police border team, comprising Second Lieutenant Romaldo Herrera, Lance Corporal Lucio Arana, Private Luciano Tzub and Police Constable Macedonio Sanchez, were on a routine patrol along a route used by our security forces well within Belizean territory when they encountered a group of about 25 uniformed Guatemalan military personnel. The BDF/Police team established itself to be within Belizean territory, but the Guatemalan patrol disputed this. In an effort to prevent an incident, the BDF/Police team agreed to move to the Guatemalan post of Santa Cruz along with the Guatemalan patrol to await the arrival of senior officers from both sides to verify the location of the encounter. According to the GOB press release, under the Confidence Building Measures signed in September of 2005 Belize, Guatemala and the OAS are committed to avoid conflicts or incidents on the ground conducive to tension between them. GOB says that it reiterates the call for all Belizeans to refrain from using the Guatemala issue to cause tensions and to divide our people. Maheia explained that he has visited the borderline with about ten others and now he plans to do so with bus loads, where they will start to clear that borderline by hand and with machetes. “One machete at a time and we will start from Gracias Adios, up the Sarstoon River and we will begin chopping and we will chop and chop until we get up to the Chiquibul and Caracol. I don’t know how long it’s going to take but in a couple of weeks we will start chopping along the borderline,” stated Maheia on Friday February 22nd when interviewed by 7 News Belize. Belize Territorial Volunteers will start their bold initiative on March 2nd.